2017 Rolls-Royce Dawn with only 1,569 miles. Ensign Red with Arctic White interior with Mugello red accents. With an original msrp of $391,030, this vehicle features the Dawn Package which gives you the Dawn treadplates, active cruise control, polished stainless steel package, RR Bespoke audio, 21" seven spoke polished wheels, RR monogram to all headrests, and night vision with pedestrian recognition. 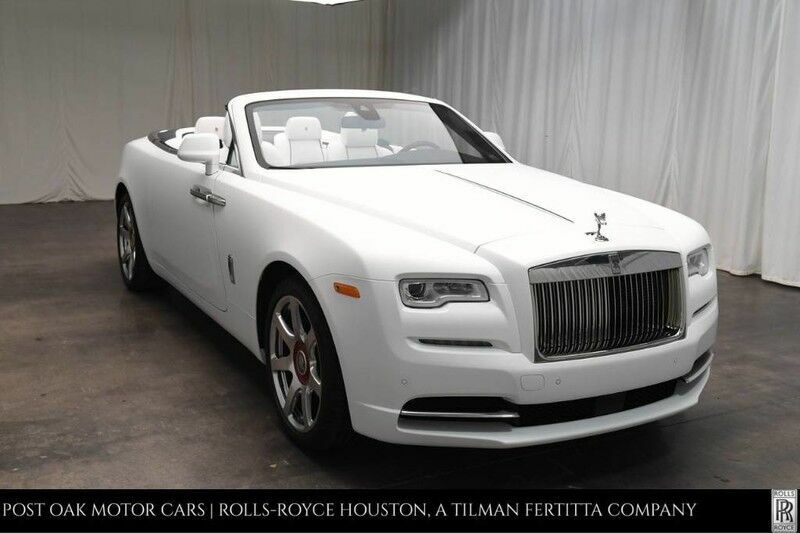 It also has the camera system, ventilated front seats, massage seats, full natural grain leather, piano black trim, driver assistance 1 package, lambswool footmats, USB and bluetooth, bespoke audio speaker grille, satellite turner and real time traffic information.----------------------------------------Rolls-Royce Houston is part of the Post Oak Motor Cars dealership, a Tilman Fertitta Company. A New Experience awaits you at our dealership! We are located in the elite Post Oak Complex, complete with elegant accommodations, high-end fashion, fine dining, luxury spa and other sophisticated amenities. Our dealership features state of the art service center, parts and accessories boutique along with Rolls-Royce Certified Brand Representatives that can assist you with any questions you may have about financing options and pricing details for this vehicle. Our team can also assist you with enclosed transportation and valuing your trade-in. Give us a call or simply come by the dealership for a test drive.